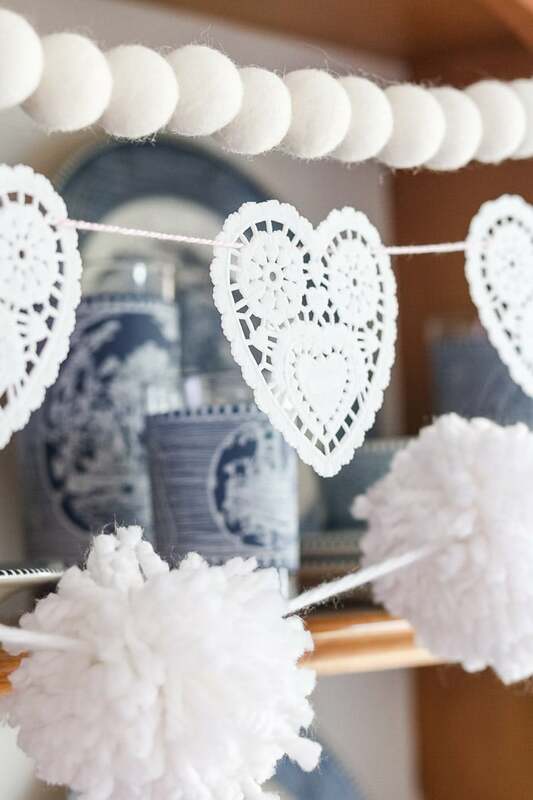 This delicate doily heart garland will get admiring glances hanging in your home. 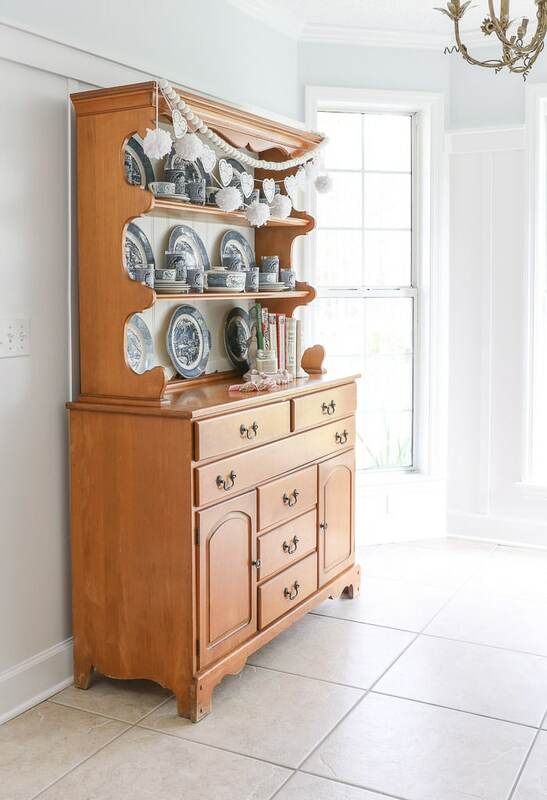 The detailed vintage style complements any Valentine decor style from farmhouse to modern. 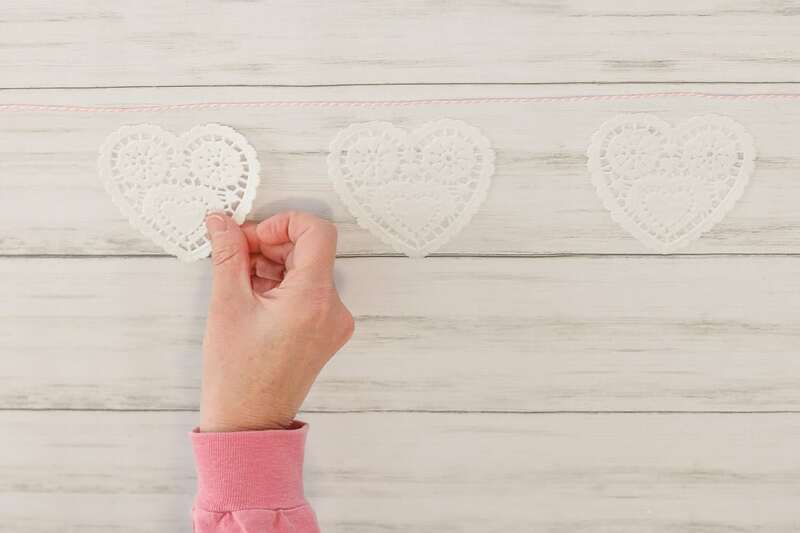 Follow these step by step instructions to create this easy Valentine garland. 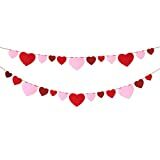 Valentine’s day is an easy holiday to decorate for with so many wonderful heart garland ideas to choose from but easy homemade decor is one of my favorites. 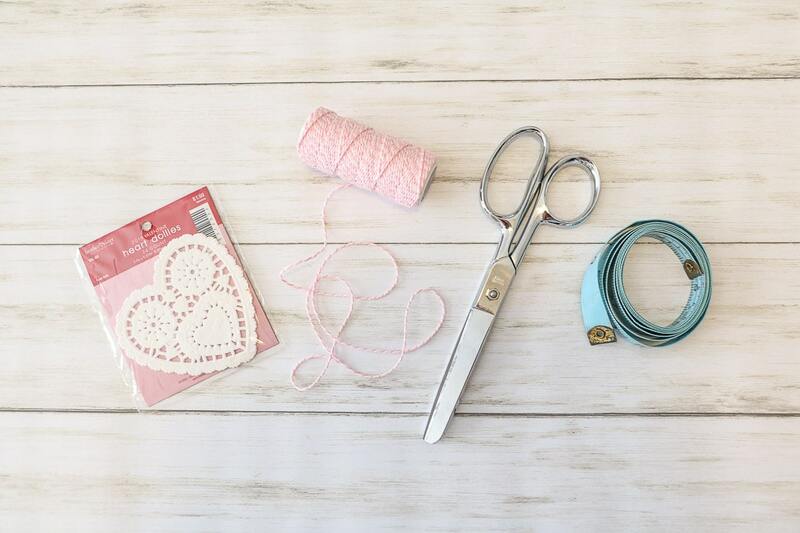 In fact I have a post with some precious ideas from other bloggers that’s all about homemade Valentine’s day garland ideas. I promise you will be inspired. So let’s get on to this heart garland. 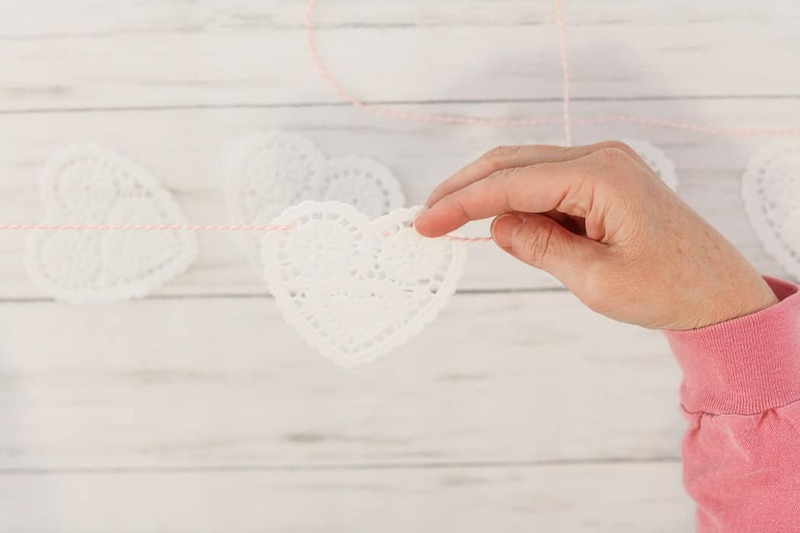 To begin lets collect a few items you will need to create your Valentine’s day heart garland. 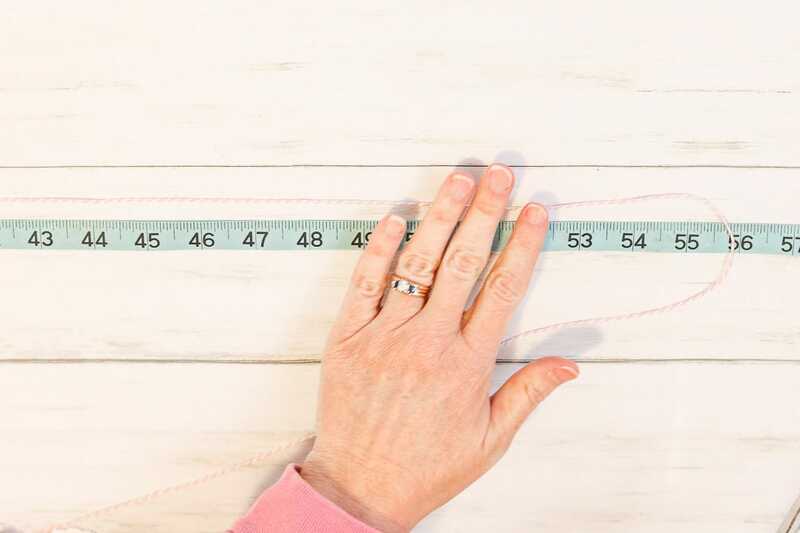 Determine where you want your heart garland to hang. 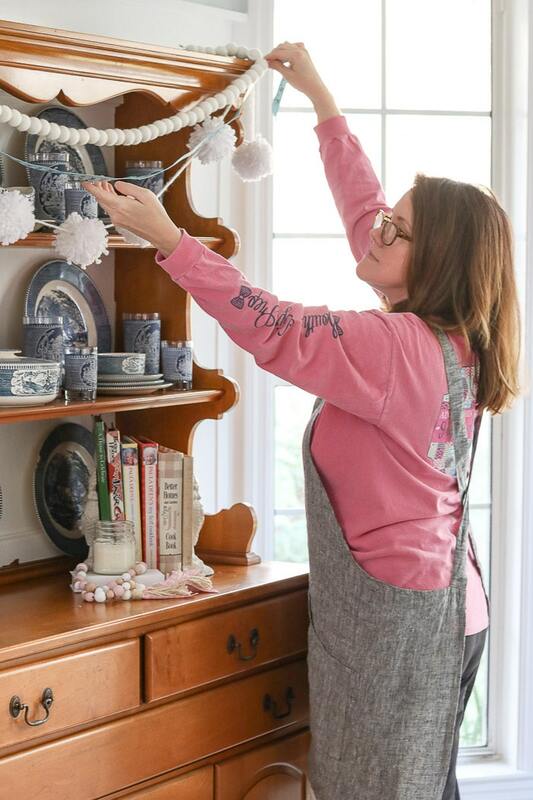 I love to layer garlands like this felt garland and pom pom yarn garland I made. 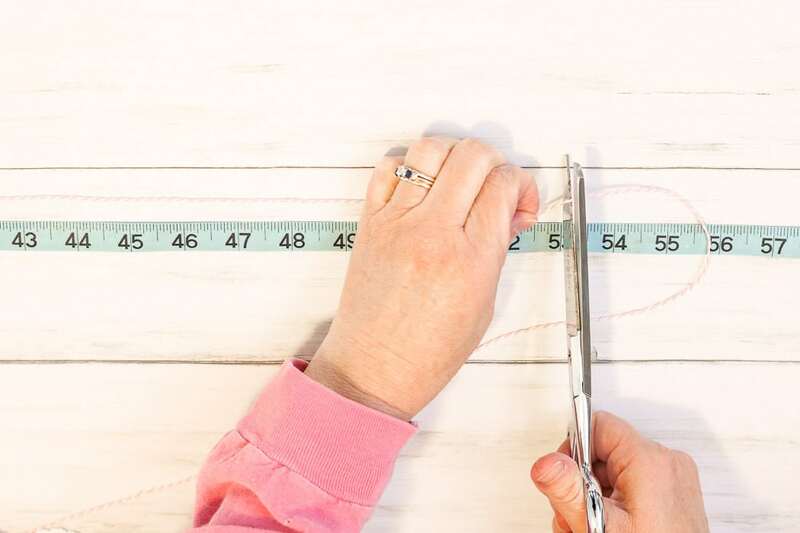 Simply drape your measuring tape where you want the garland to hang and then add about 5 more inches to the measurement. 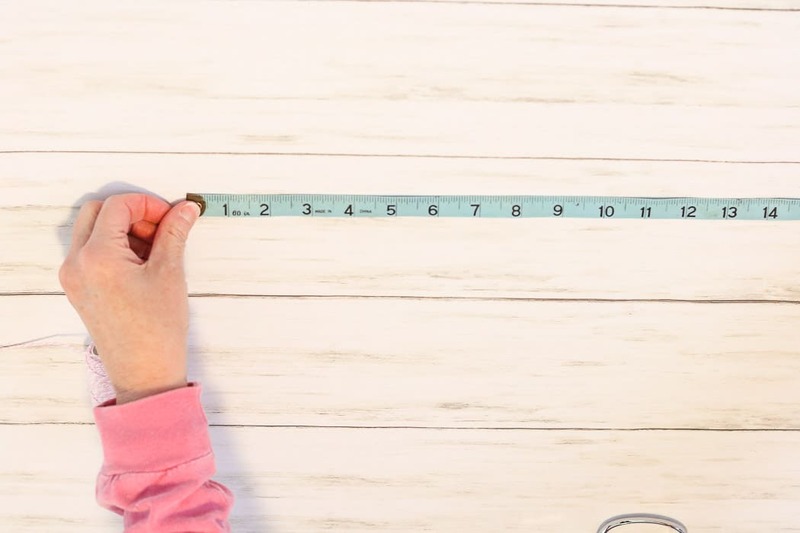 Next lay out your tape on a table. And then lay out the twine next to the tape. Then cut the twine according to the measurement and lay the twine down on the table. Now pull apart the paper doilies and start laying them out under the twine. Put as many doilies as you want under the twine. There is no right or wrong amount. 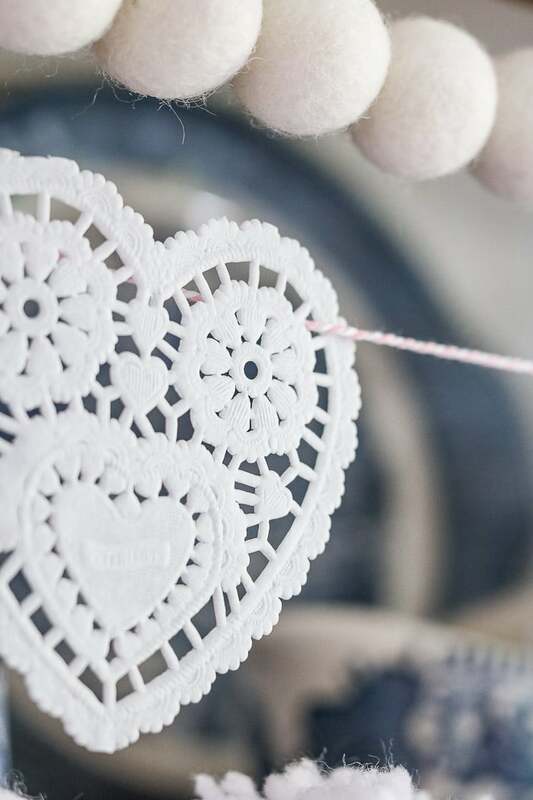 It is really up to you on how many heart doilies you want hanging under the twine. 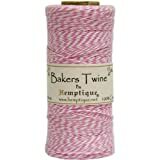 Continue your project by threading the twine on top of one side and then under on the other side. 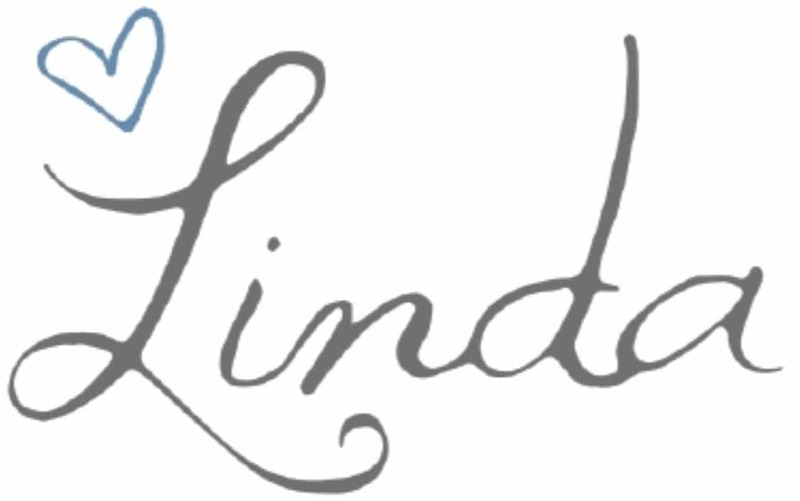 You may find that your heart doilies have a different design than mine but that is okay. Simply find a hole on one side and thread behind and up through a similar hole on the other side. It will look like this when you are finished threading. It is time to hang your garland. Create a loop and tie it off on one side. 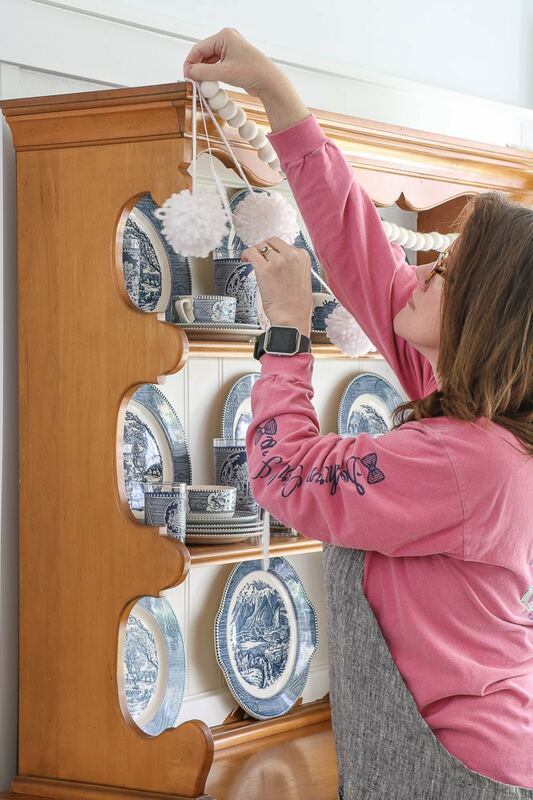 Hang your garland by using a tiny nail or command strip. Then twist the twine around the other nail or command strip into the length you think is just right. Next slide the hearts into the position you like. You may need to adjust the height of the garland a little which is why I only twist the twine around the nail. This allows me flexibility until I have it just right. Once you have determined the height then either tie off the twine or if it seems secure just twisted you can keep it in that position. 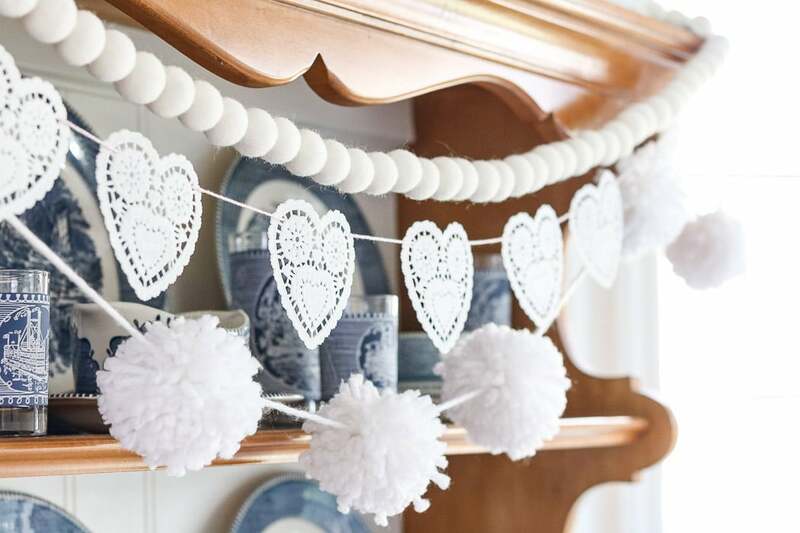 There are so many fun places you can hang this heart garland. 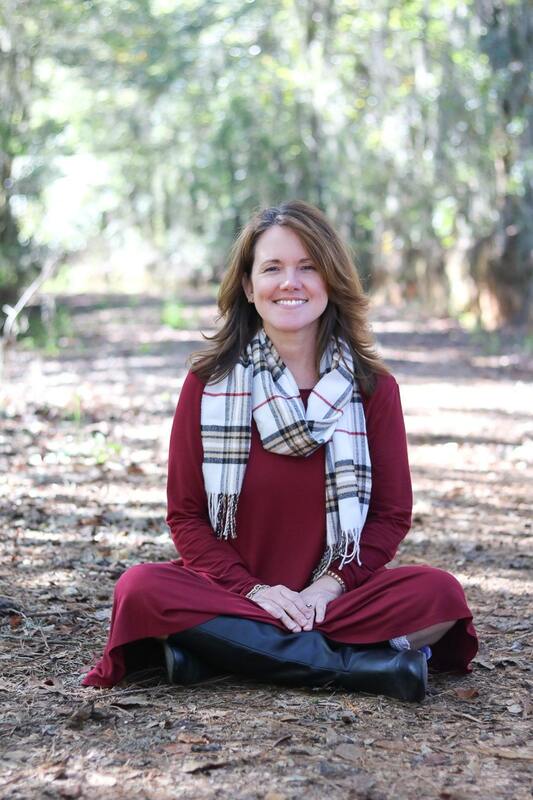 My favorite is on my hutch but you can hang then on fireplaces, windows, art, mirrors, the back of benches, foot board on beds and the list goes on. 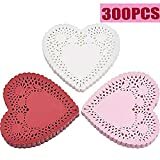 Isn’t it amazing how something so simple and cheap can add a little Valentine’s day love into your decor? With so many wonderful Valentine’s decorations in the store it is sometimes challenging to find something unique for your own home. 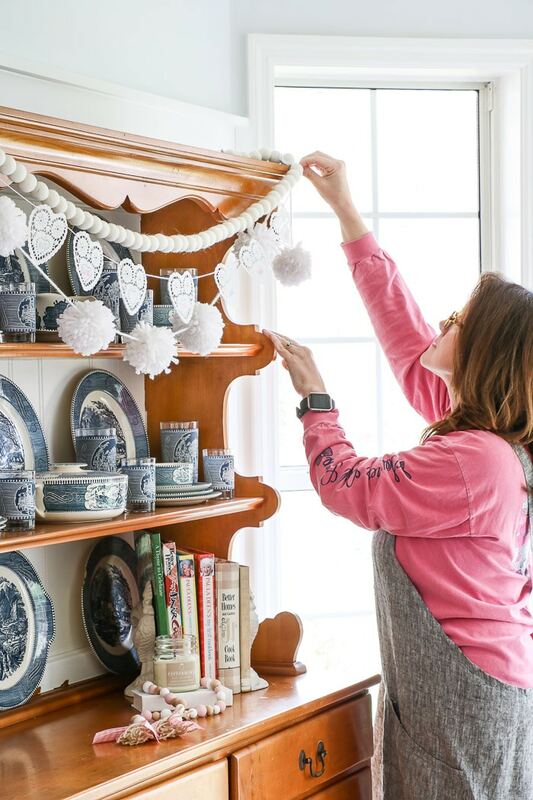 So let’s recap these instruction to make this sweet heart garland. Lay the hearts down next to the twine however apart that you like. 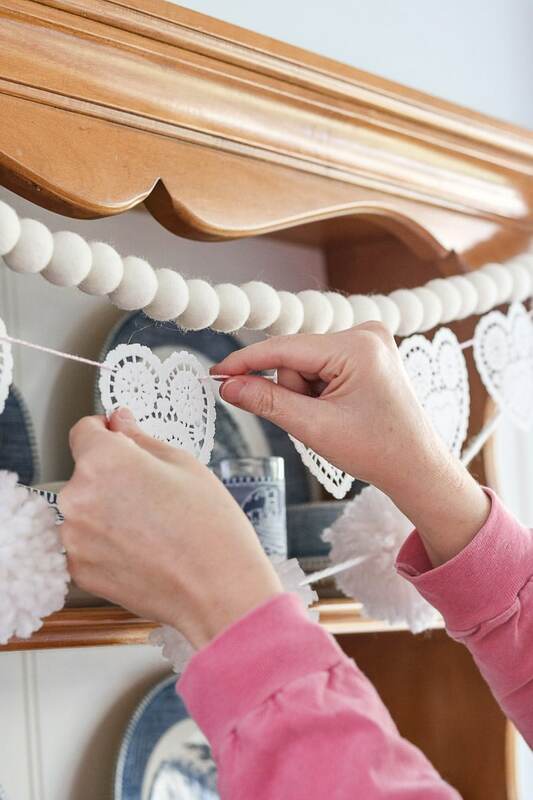 And if you are nostalgic and love vintage then this doily heart garland has your name written all over it. 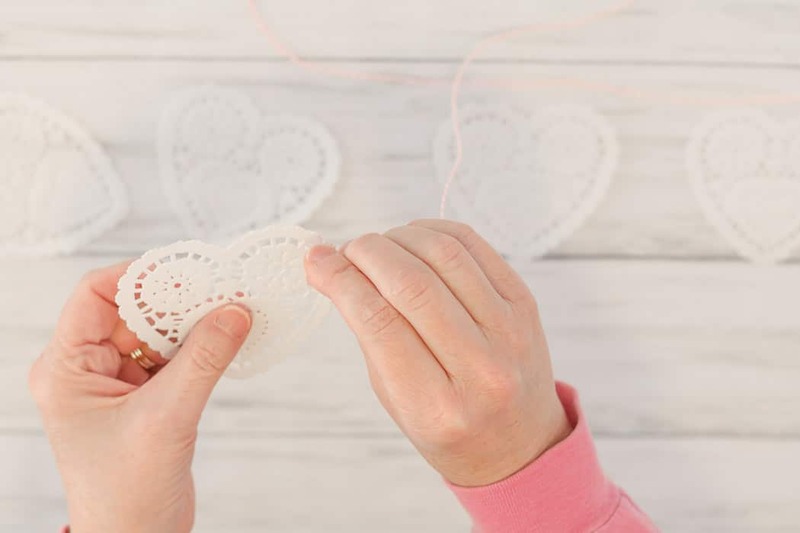 Once you have finished your garland you will find that you have some doilies left over. One way to use them is on a Valentine’s day dinner table decoration. 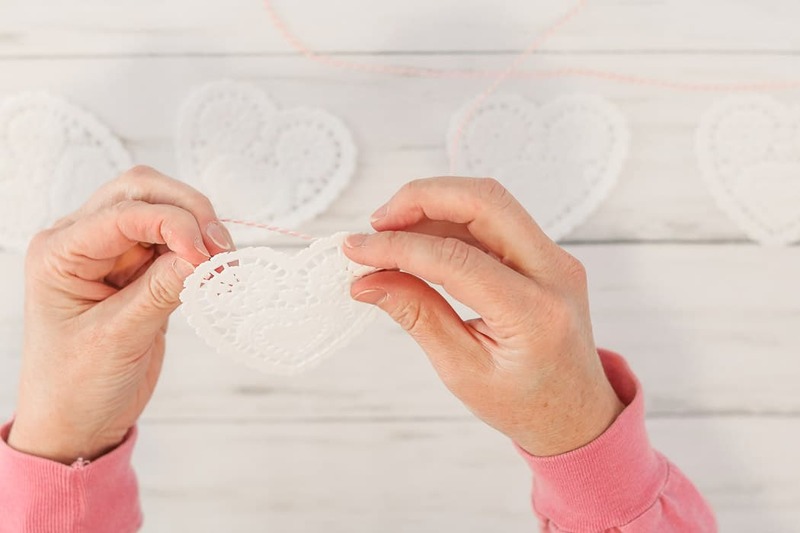 There are loads of photos in this post show you how to use all your remaining heart doilies. I hope you have enjoyed this post and if you want more Valentine’s day decor ideas try our Valentine’s day tiered tray and our other Valentine’s banner idea.